Dr. Lu joined the Rutgers-Camden Department of Childhood Studies in 2016, after completing a two-year postdoctoral fellowship at the Silver School of Social Work, New York University. Before that, Dr. Lu earned her MS in science journalism and PhD in health education from Texas A&M University. Dr. Lu’s research centers around child and adolescent health disparities, with a focus on minority and underserved populations. In particular, Dr. Lu is interested in understanding and intervening on behavioral, psychosocial and environmental factors that influence minority and underserved children’s health risk behaviors (e.g., unhealthy food-purchase, lack of physical activity), negative health outcomes (e.g., childhood obesity), and mental health problems (e.g., adolescent depression). Currently, Dr. Lu is initiating two health disparities research projects to 1) examine factors underlying unmet mental health service needs among Asian American adolescents with mental health issues, and 2) investigate the real-time influence of nutrition environments on adolescent food-purchase behavior in different neighborhoods. Dr. Lu is also the Co-Principal Investigator of a RWJF-sponsored project to evaluate the implementation and impact of RWJF’s Next Generation Community Leaders initiative. 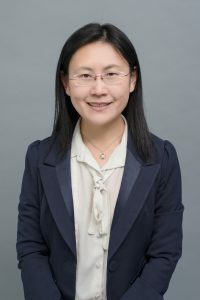 Dr. Lu’s research has been published in leading public health journals, including the Journal of the Academy of Nutrition and Dietetics, the International Journal of Behavioral Nutrition and Physical Activity, the Journal of Health Care for the Poor and Underserved, and the American Journal of Health Behavior. Child health disparities among undeserved populations, childhood obesity, adolescent mental health care disparities, Asian American health, active living and environment. Lu,W. (2018). Adolescent Major Depression: National Trends, Risk Factors, and Healthcare Disparities. American Journal of Health Behavior. In press. Romanelli, M., Lu, W., Lindesy, M. (2018). Examining Mechanisims and Moderators of the Relationship Between Discriminatory Health Care Encounters and Attempted Suicide Among U.S. Transgender Help-Seekers. Administration and Policy in Mental Health and Mental Health Services Research. https://doi.org/10/1007/s10488-018-086-8. Xu.L., Jacobs, W., Church, T., Ning, L., Lu, W. (2018). Factors influencing family health history discussions between college students and health care providers. Health Behavior and Policy Review. 5(2), 12-22. Kim, Y., Lee, C., Lu, W., Mendoza, J.A. (2017). Attitudinal, Behavioral, and Environmental Correlates of Child and Parent Self-efficacy in Walking to School. International Journal of Enviornmental Research and Public Health. 14(12), 1588. Lu, W., Lindsey, M., Nebbitt, V.E., Irsheid, S. (2017). Psychometric Properties of the Center for Epidemiological Studies-Depression Scale (CES-D) in Black Adolescents Living in Urban Public Housing. Journal of the Society for Social Work and Research. Forthcoming. Xu, L., Jacobs, W., Church, T., Ning, L, Lu, W. (2017). Factors influencing family health history discussions between college students and health care providers. Health Behavior and Policy Review. In press. Lu, W. (2017). Child and Adolescent Mental Disorders and Health Care Disparities: Results from the National Survey of Children’s Health, 2011-2012. Journal of Health Care for the Poor and Underserved, 28(3), 988-1011. Xu, L., Carpenter-Aeby, T., Aeby, V. G., Lu, W., & Fisher, L. (2016). A Systematic Review of the Literature: Exploring Correlates of Sexual Assault and Homelessness. Tropical Medicine & Surgery, 4(212), 2. Aeby, V. G., Xu, L., Carpenter-Aeby, T., Lu, W., Barnes, E. S., Rivers, D., & Turner, L. (2016). Exploring Planned Parenthood, Teen Pregnancy, and Policy—A Systematic Literature Review. US-China Education Review, 6(5), 293-301. Lu, W., McKyer, E. L. J., Dowdy, D., Evans, A., Ory, M., Hoelscher, D. M., … & Miao, J. (2016). Evaluating the Influence of the Revised Special Supplemental Nutrition Program for Women, Infants, and Children (WIC) Food Allocation Package on Healthy Food Availability, Accessibility, and Affordability in Texas. Journal of the Academy of Nutrition and Dietetics, 116(2), 292-301. Outlaw, K., Xu, L., Carpenter-Aeby, T., Aeby, V. G., Lu, W. (2015). A Review of Mind Gym: Revisiting a Sports Management Classic. Sports and Exercise Medicine. 1(5):159-160. Aeby, V.G., Xu, L., Lu, W., Carpenter-Aeby, T., Edwards, T., Vaughn-Heath, J. (2015). Evidence-based Social Work Interventions to Improve Client Attendance in Rural Mental Health: An Overview of Literature. Psychology and Cognitive Sciences. 1(2):39-45. Xu, L., Lu, W. (2015). Emotional Factors Affecting Taiwanese Parents’ Decision-making regarding Autism Genetic Testing. International Journal of Recent Scientific Research, 6(5):4141-4148. Lu, W., Lee, C., McKyer, E. L. J., Ory, M. G., Goodson, P., Wang, S. (2015). Active Commuting to School: An Interplay of Self-efficacy, Social Economic Disadvantage, and Environmental Constraints. International Journal of Behavioral Nutrition and Physical Activity, 12(29). Diep, C., Lu, W., McKyer, E. J. L., Goodson, P., Guidry, J. J., Murano, P. S., Liew, J. (2015). Influences of Fruit and Vegetable Intake among Asian Youth on Texas WIC. Health Behavior and Policy Review, 2(6):429-437. Xu, L., Carpenter-Aeby, T., Aeby, V.G., Lu, W. (2015). An Integrated Model of Emotions, Attitudes, and Intentions Associated with Undergoing Autism Genetic Testing. Psychology and Cognitive Sciences. 1(2):29-38. Lu, W., McKyer, E. L. J., Lee, C., Ory, M. G., Goodson, P., Wang, S. (2014). Perceived Barriers of Children’s Active Commuting to School: A Systematic Review of Empirical, Methodological and Theoretical Evidence. International Journal of Behavioral Nutrition and Physical Activity, 11(140). Tisone, C. A., Guerra, S. A., Lu, W., McKyer, E. L. J., Ory, M., Dowdy, D., Wang, S., Miao, J., Evans, A., Hoelscher, D. (2014). Food-shopping environment disparities in Texas WIC vendors: A pilot study. American Journal of Health Behavior. 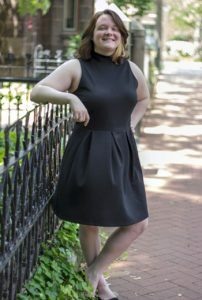 38(5):726–736. Lu, W., Miao, J., McKyer, E. L. J. (2014). A primer on bootstrap factor analysis as applied to health studies research. American Journal of Health Education. 45(4):199–204. Lu, W., Zhu, L., McKyer, E. L. J., McWhinney, S., Outley, C., Tisone, C. A. (2014). Social ecological correlates of children’s active commuting to school in rural areas. Journal of Health Behavior & Public Health, 4(1):9–18. Harriger, D. J., Lu, W., McKyer, E. L. J., Pruitt, B., Outley, C., Tisone, C. A., McWhinny, S. (2014). School personnel’s knowledge and perceptions of school wellness policy implementation: A case study. Journal of Child Nutrition & Management. 38(1). Harriger, D. J., Lu, W., McKyer, E. L. J., Pruitt, B.,Goodson, P. (2014). Assessment of school wellness policies implementation by benchmarking against diffusion of innovation framework. Journal of School Health. 84:275–283. Romanelli, M., Lu, W., Lindsey, M. When Help-systems Hurt: Suicide Attempts as a Consequence of Health and Mental health system Exclusion and Discrimination among U.S. Transgender Help-seekers. Manuscript under review. Page last updated by Department of Childhood Studies at 9:42 am October 4, 2018 . This page was printed from http://childhood.camden.rutgers.edu/faculty/wenhua-lu-phd/ at 3:42 AM Friday, April 26, 2019.